After two months on the road – and traveling through Iceland, Spain, England, India, and the UAE – I returned to the States last week. I took a couple days off, but then it was back to studying at the GM House in Richmond. 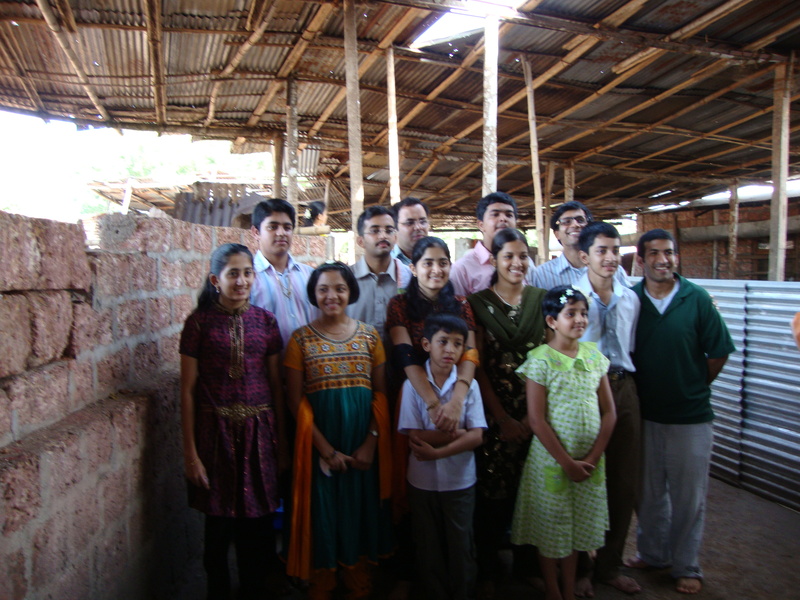 I was more than happy to leave the chess scene behind for a couple weeks with family in India after my finish in Benidorm. 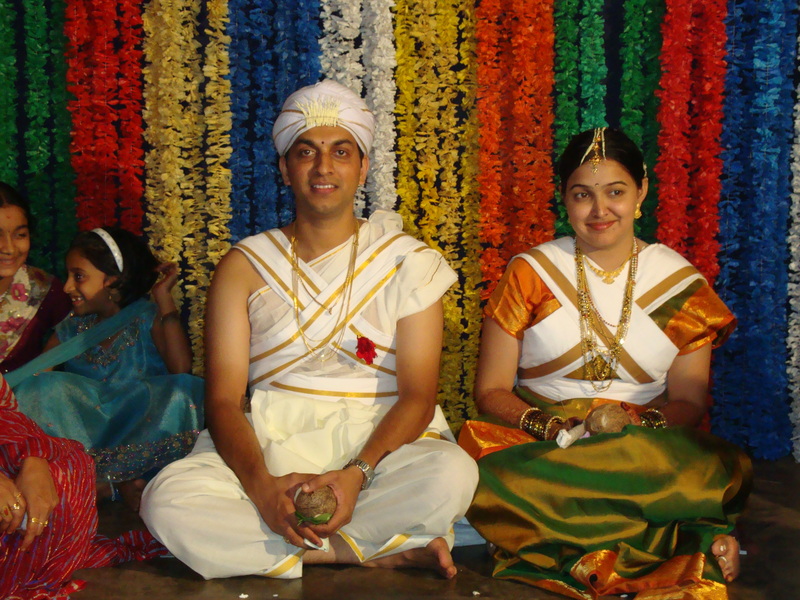 Most of my trips to India have been planned around some special event, and this one was no exception. My younger cousin, Sushma, was getting married! The wedding was massive, with about 700 people in attendance. 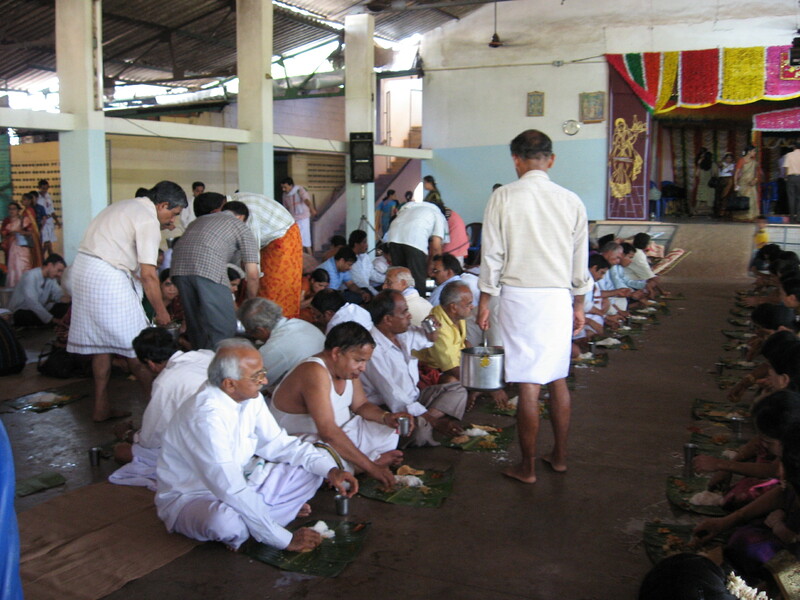 Food was served in the traditional style: on a banana leaf while sitting on the floor. As I’m no expert in this, I ate with a plate instead. My spring chess tour is over, and I finished with 6.5/10 in Benidorm. I scored 2.5 from my final 4 games, but I had hoped to score a little more. In round 7, I played a lower rated Dutch player and managed to win. One amusing thing about that game was that I was playing Jeroen Van den Bersselaar, but I prepared for Jeroen Van der Bersselaar. I somehow wrote his name down incorrectly when I looked at the pairing sheet on display in the hotel, and when I went to the database, I found a few games and didn’t think of double-checking his name. Wherever I got those games from, they made the same mistake I did! In any case, they were all old games, so I didn’t do much preparation. However, had I looked up the right name, I would have done more, as he had over 200 games in the database. The game had been pretty wild up until now, and while he was better prepared in this Semi-Slav than I was, he burned up the clock in the middlegame. He should have played 27…Bxd6, and after 28.Rxd6, all 3 results are still possible. Instead, he played 27…Kd8, which let me play 28.Be5!. The bishop can’t be captured (either a discovered check on e4 or a fork on f7 will win the queen), and meanwhile, the queen doesn’t have any real safe squares. The best chance is to play 28…Qf8, but even that isn’t very pleasant. However, 28…Qg6 29.Rg1 is even worse, as now White’s rook joins the fun around Black’s king. Black lost his queen soon and immediately resigned. In round 8, I had the white pieces against GM Stewart Haslinger of England. He played a solid Queen’s Gambit Declined, and while I had a small advantage, I wasn’t able to make anything of it. After one misstep in the middlegame, I let him exchange a pair of knights under favorable circumstances and then the position was quite equal. The game ended in a draw soon afterwards. In this position, he played 44.f4??. White shouldn’t be doing anything with his pawns here (he had already messed up slightly by playing 43.h2-h3 before), and this one is fatal. 44.Rg1 would have held the line. I quickly played 44…gxf4 45.exf4 Rg8 46.Kf3 Bh4!, and now White can’t keep Black’s rook out. My opponent resigned here actually (his position is lost, but maybe it’s a bit soon to resign). The c5-pawn is hanging, but can’t be safely captured: 47.Rxc5 Rg3+ 48.Ke2 (48.Kf2 walks into a discovered check with 48…Rc8+) Rg2+, winning the bishop on b2. 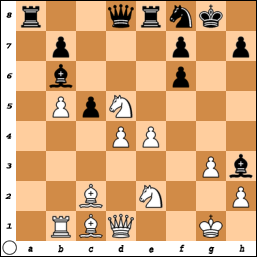 I made my last serious mistake of the game here, with 29…Bb4?. I missed that after 30.Rd8+ Rxd8 31.Rxd8+ Bf8 32.Qc8 Ra1+ 33.Kg2 Qb4 34.Qc6!, I have no good way of escaping the pin on the 8th rank. I played 34…Kh7, but after 35.Qa8! Kg8 36.Rc8! Qe7 37.Re8! (not 37.Bc5 Qxg5+ or 37.h4 Qb4!) Qb4 38.Qb8! Qa3 39.b4!, I have to give up the bishop and the game. He only had 1 minute left during this exchange, but he was confident enough to walk around a little bit while I was thinking! Instead of 29…Bb4?, I should’ve played 29…Bf8. I considered it, but I thought it was too dangerous after 30.Qf3! (not 30.Qf4 f5! – White wants to meet …f5 with Qd5+ and R1d4) Qxb3 31.R1d5 a4!. A cold-blood pawn advance, as after 32.Qxf7+ Kh7, it’s not clear how White should continue with his attack. Black is probably a bit worse still, but the game is rather complicated. With only a couple minutes per player, I would have had fine chances of drawing or winning. So I finished with 6.5/10, well off the lead. There was a 3-way tie for first on 8 points between GMs Iturrizaga, Kempinski, and Arizmendi, with Iturrizaga winning on mathematical tiebreaks. My next tournament should be the Continental Championship in July (planned for El Salvador). Until then, I will have to lick my wounds and see if I can regain some good chess form. From rounds 3 to 6, I’ve only scored 2.0 points. I beat a lower-rated Romanian player quite easily in the 3rd round, and in the 4th round I faced GM Stelios Halkias of Greece with the black pieces. For a little over a year, I’ve switched from playing the Semi-Slav to the Slav. However, against Halkias, I didn’t feel like playing into his preparation as he had faced the Slav a number of times with reasonably good results. Instead, I got a small surprise in first by playing into the Moscow Variation with 1.d4 d5 2.c4 c6 3.Nc3 Nf6 4.Nf3 e6 5.Bg5 h6. I started playing the Moscow Variation back in 1997, but when I looked in my database, I noticed I had only managed to play it 15 times in rated play! This was a bit of a surprise for me as the Moscow was a cornerstone of my black opening repertoire for a long time. Meanwhile, Halkias had almost 25 games in MegaBase in this variation as White. With so many games, he had tried a few different approaches and so I had to work for a few hours in the morning to update all my lines. Over the board, however, he decided to see whether I knew the latest theory in this line and played something a little less usual for him. The game continued 6.Bxf6 Qxf6 7.e3 (I had spent most of my time preparing for 7.Qc2, with which he had played the most games and had excellent results, but he didn’t want to see what I had prepared there) Nd7 8.Bd3 dxc4 9.Bxc4 g6 10.0-0 Bg7 11.Rc1 0-0 12.Bb3 Qe7 13.Na4!?. This was Beliavsky’s strong novelty that had caused Black some problems. Before this move, White normally tried putting the knight on e4 in this setup in order to dissuade …c6-c5 and to target the d6-square, especially if Black tried to break in the center with …e6-e5. 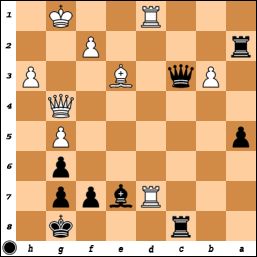 However, Black was able to solve the issue of his light-squared bishop by taking advantage of the unprotected knight on e4. With 13…b6, the c6-pawn would be taboo because of 14…Bb7, skewering rook and knight. 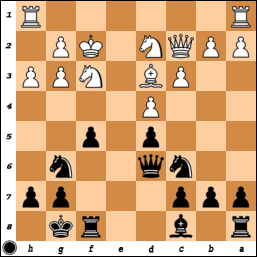 By putting the knight on a4, White tries to keep Black’s light-squared bishop shut in while avoiding this tactic. However, in February 2009, Karjakin got Black started on the correct path and about a week before my game with Halkias, Gelfand finished the job. Although I didn’t specifically prepare for this continuation, I had seen the game replay on ICC and so I turned out to be well-prepared! 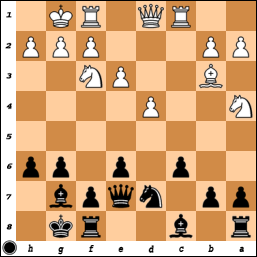 This is Gelfand’s new move and it equalizes comfortably. 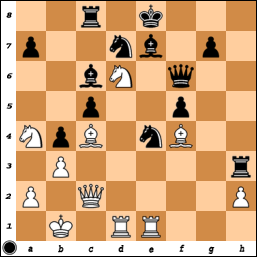 If White plays 19.gxh3, then 19…Qg5+ picks up White’s bishop with a better pawn structure. He decided that I passed the test and offered a draw after 19.Bxe4 Qxe4 20.gxh3 Rad8 21.Qg4 Qxg4 22.hxg4 Bxd4 23.exd4 Rxd4 24.f3. A rather strange game, as neither of realized the other knew about the Gelfand game. I now played 24.Nef4 exd4 25.Nxb6?!. 25.Bd3 was probably better, as the light-squared bishop on h3 is more threatening in the long-term than its dark-squared colleague on b6, but I had a specific continuation in mind. After 25.Nxb6?! Qxb6 26.Nd5, I thought I was doing quite well – if 26…Qd6, then either 27.Qxd4 or 27.Bf4 is pleasant for white; if 26…Qd8, then 27.Qxd4 is good; and if 26…Qe6, then again, 27.Qxd4 or 27.Nc7 is good. He played 26…Qc5 and I replied with 27.Bd3. In my quick calculations, I figured that he would have to guard the f6-pawn here. For example, on 27…Nd7 28.Qh5! threatens both the bishop on h3 and to take on f6, as the knight is overloaded on d7. Unfortunately, while he was thinking here, I realized that he had a strong response that pretty much takes the h5-square away from my pieces forever. He finally found it as well, playing the strong 27…Re5!, simply sacrificing the f6-pawn in order to keep White’s queen from joining the attack. Now White is just lost – his king is more exposed than Black’s. On 36.Rxe3, he played 36…Ra1+ 37.Kf2 Rf1+ 38.Ke2 Rxf4, and if White takes the rook, he loses his own. 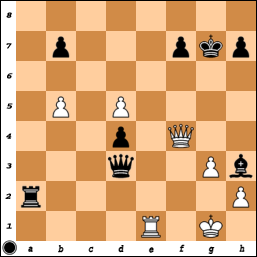 I played 39.Re7 Bf1+ 40.Ke1 Rf5, but the endgame is totally lost and so I resigned. In any case, I didn’t feel so bad about this loss, as it was a tough fight and I thought he played quite well. I rolled the dice and I came up short. I wanted to bring a knight to e4 and so after 15 minutes of thought, I came up with the brilliant idea of 14…Nb8?! 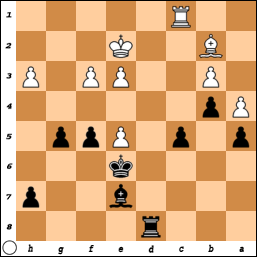 (the knight is headed for e4, via d7 and f6 – but do you see the problem with this?). After 15.Rhe1, I happily continued on my way with 15…Nd7?. After making my move, I noticed that the f5-pawn is just hanging now. He naturally played 16.Bxf5, after which I wondered what was going on in my head. It’s pretty rare that I manage to miss a one-move capture like that. Black’s position is pretty much lost now, as although Black is only down a pawn, he faces a bigger problem as White will take on g6 to double Black’s pawns. 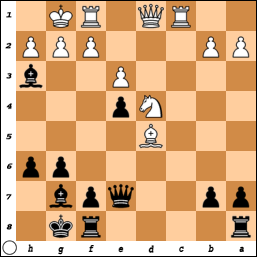 After that, the e5-square can never be properly defended and Black’s light-squared bishop has no real future. Luckily I managed to put up some resistance and in the end, managed to salvage half a point from this horrible position.